The Thompson Okanagan Tourism Association (TOTA) is pleased to announce the launch of a new sustainability initiative for regional tourism stakeholders and communities that will continue to put emphasis towards responsible tourism development practices, upholding our region&apos;s commitment to its importance. During the Central Okanagan Tourism Industry Showcase, a collaborative event between Tourism Kelowna, the District of Lake Country, Destination Peachland, and the City of West Kelowna, TOTA unveiled its next steps in the regions “Drive for Sustainability." Attendees were provided with an overview of the recent Thompson Okanagan Biosphere Certification as a sustainable tourism destination and were invited to participate in the Biosphere Adhesion program, an industry initiative designed for regional tourism stakeholders to be recognized under the Biosphere certification. Boilerplate: The Thompson Okanagan Tourism Association (TOTA) is one of five regional tourism organizations representing B.C. Our mission is to support the ongoing growth and sustainability of the Canadian tourism industry by establishing Thompson Okanagan Tourism as a champion of excellence and innovation in destination marketing, engagement, and industry development. Biosphere is a Sustainable Tourism System certified by the Responsible Tourism Institute, an international accreditation body affiliated with the United Nations World Tourism Organization and is a member of the Global Sustainable Tourism Council. 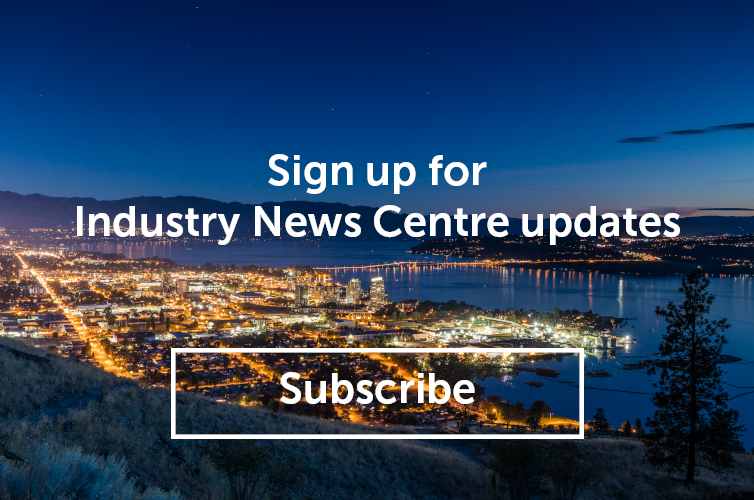 About Tourism Kelowna: Working on behalf of over 380 local businesses, Tourism Kelowna is the lead destination marketing organization for the Central Okanagan generating overnight visitor demand that economically benefits Kelowna and its neighbouring communities. In 2016, over 1.9 million visitors came to Kelowna and area and spent $337 million dollars. Overall, our local tourism industry contributes over $1.25 billion in total economic output and provides nearly 12,000 jobs and generates $142 million in tax revenues.